SARE state coordinators in every state and island protectorate are charged with training agriculture professionals in sustainable practices and sharing SARE project results with them. Coordinating annual sustainable agriculture training and educational program opportunities for all new appropriate field office personnel. Coordinating updated sustainable agriculture training and education opportunities for current staff. Promoting the availability of SARE funding opportunities, program activities and opportunities. Raising awareness of SARE Outreach educational materials and services, as well as those of ATTRA—the National Sustainable Agriculture Information Service—and the Alternative Farming Systems Information Center (AFSIC). Seeking input from NRCS and FSA personnel about sustainable agriculture training needs and shared educational program opportunities. Submitting timely reports of state sustainable agriculture programs, impacts, and activities to the required regional PDP SARE program contact. Participating in regional PDP activities. 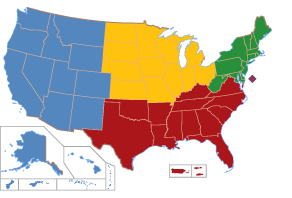 The basis for state coordinators originated in the 1990 Farm Bill, when legislators mandated that each state and U.S. territory develop a training program in sustainable agriculture concepts and systems for field employees, such as the Extension Service, Natural Resources Conservation Service and other ag professionals. The legislation also required states to make information from SARE and other sources available to farmers and the public.